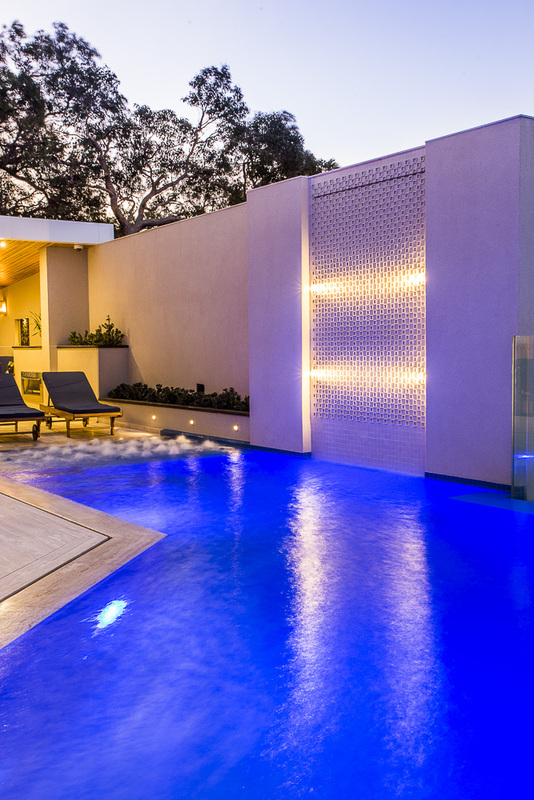 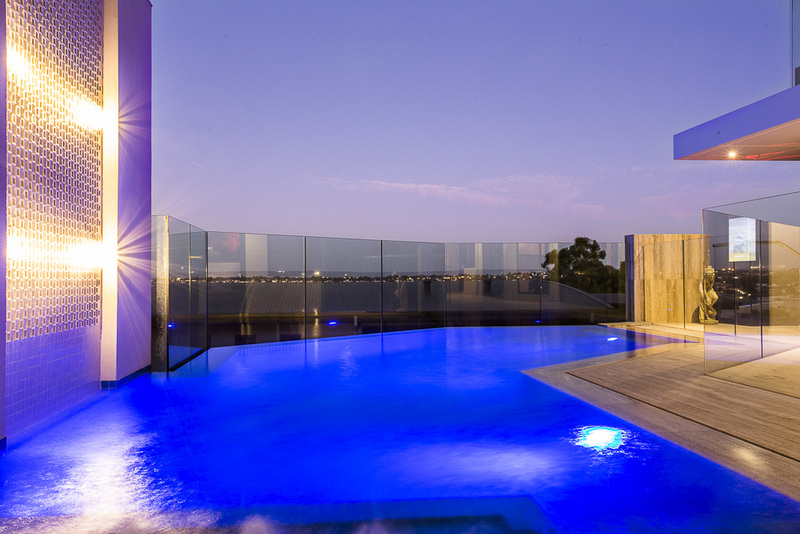 This pool was the winner of the WA SPASA 2016 pool of the year award and also came in second in the Innovative Pool and/or Spa category. 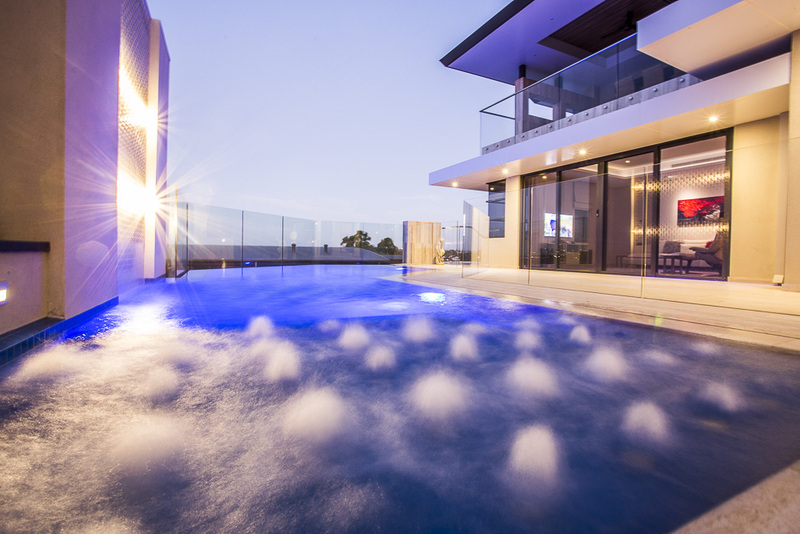 This is one of the most innovative pools that we have built. 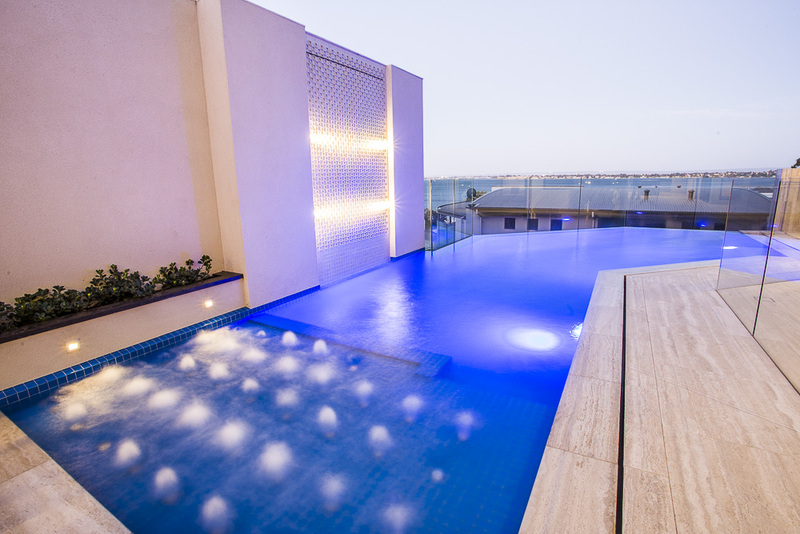 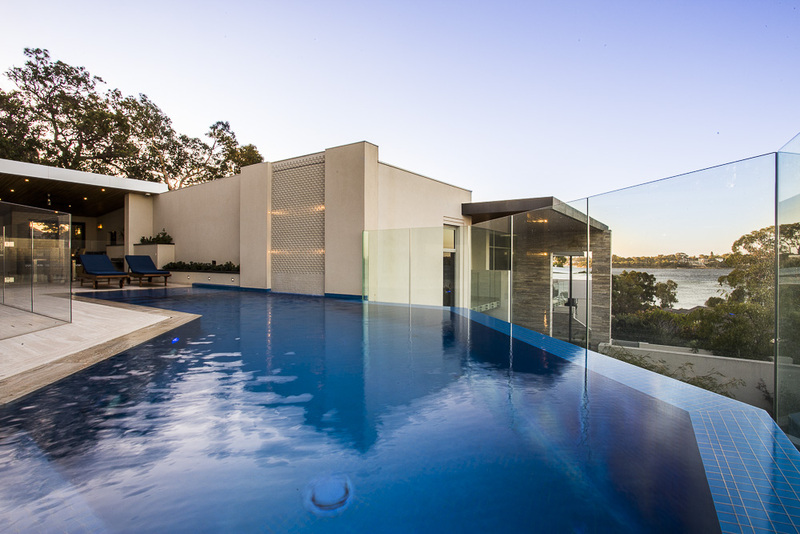 The pool was was designed by the owner and their consultants to suit their lavish Riverside property. 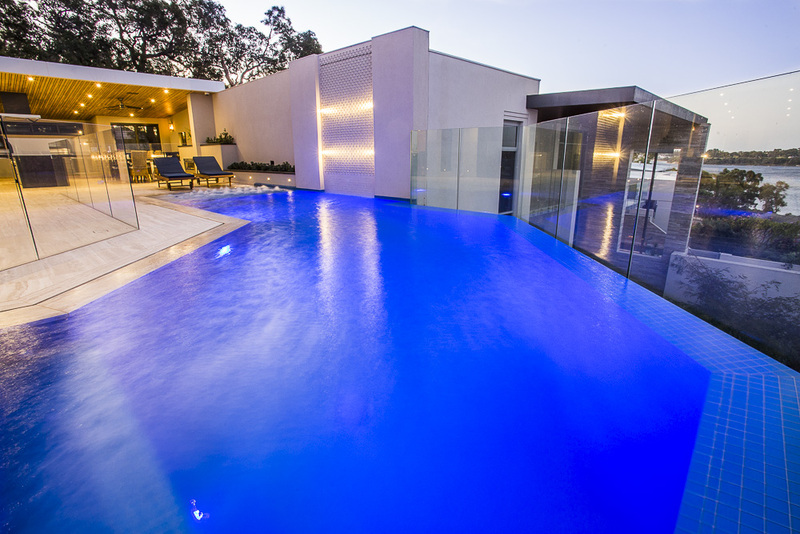 This pool is constructed 350 mm off the boundary which has a retaining wall height of 4.3m. 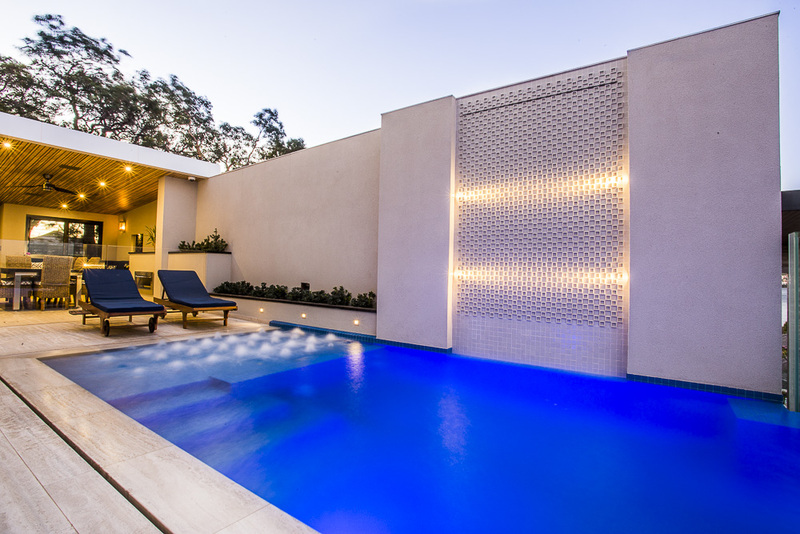 The pool wall has a water feature built on the top of it which is set 90mm off the parapet wall on the first story. 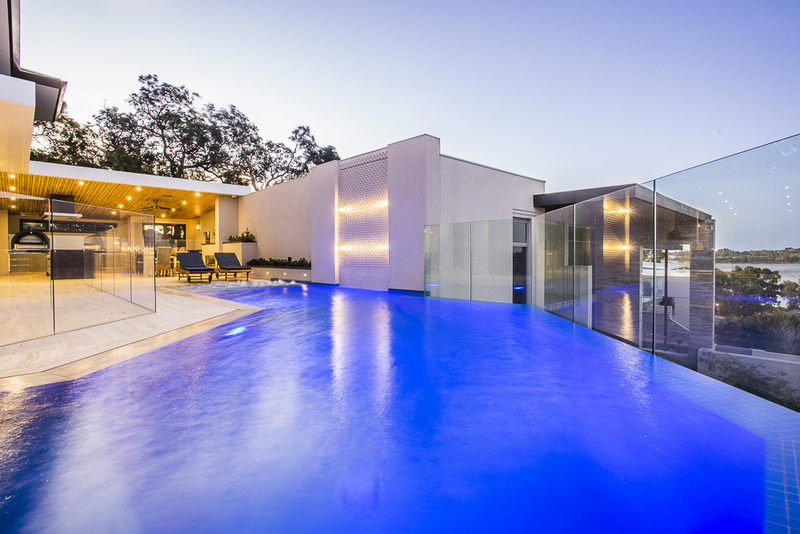 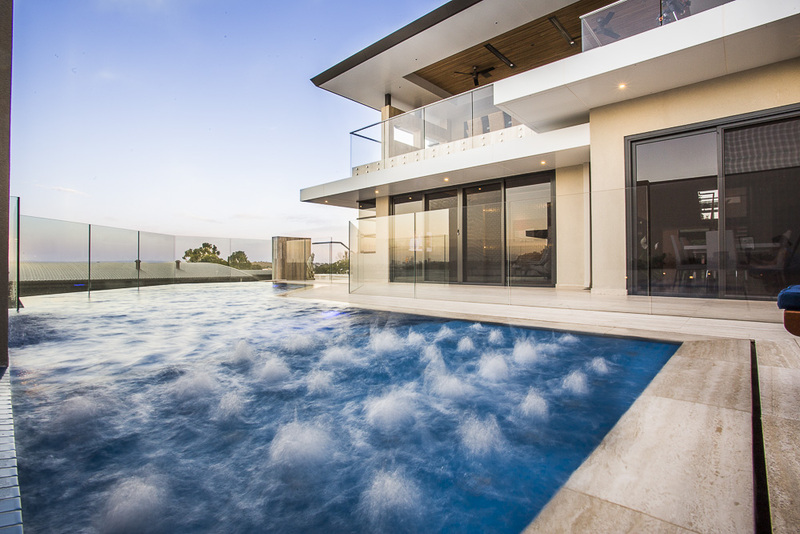 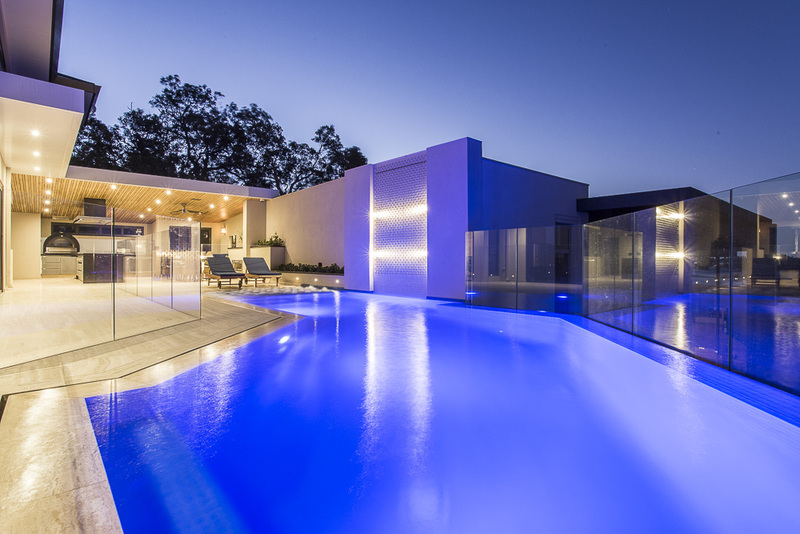 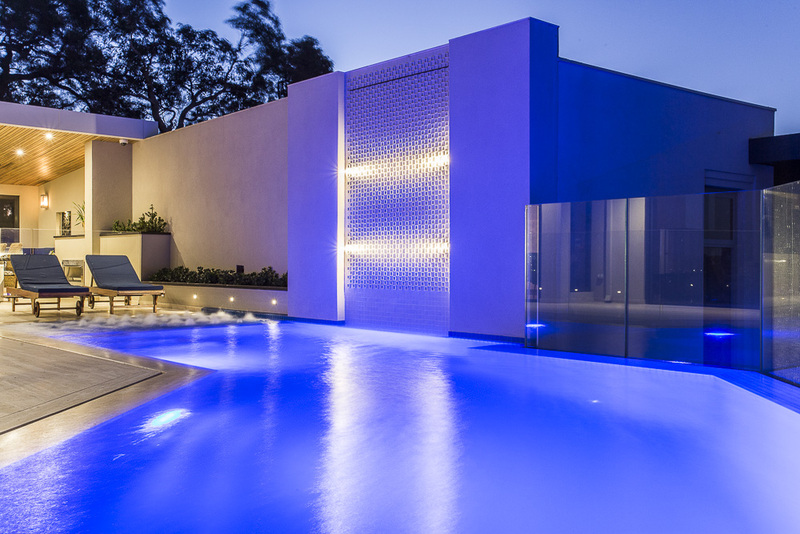 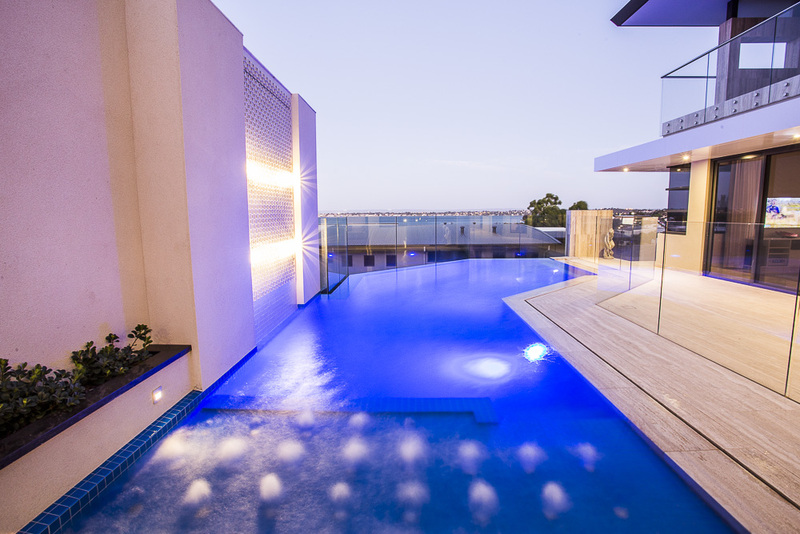 The outstanding features of this pool are a wet deck/vanishing edge which is designed with a 316 stainless steel trough which does not go out more than 350 mm so it does not encroach over the boundary. 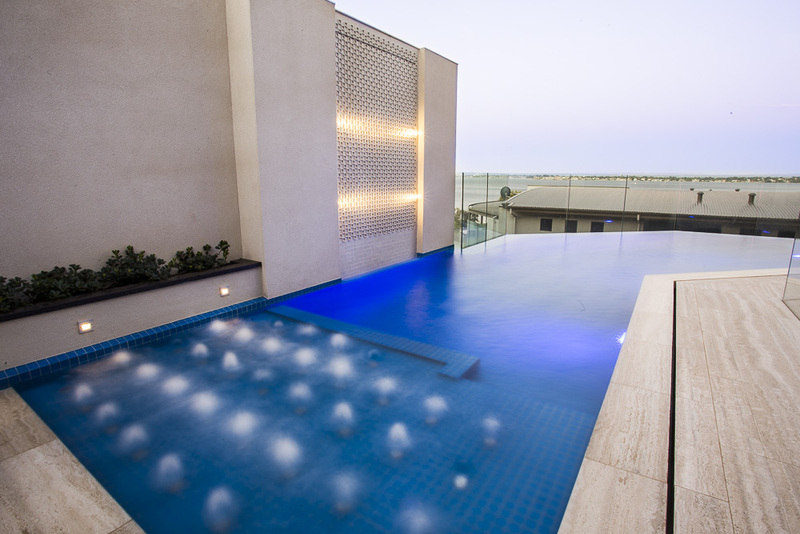 The vanishing edge has a separate line to the balance tank which is housed in the underground basement below the pool. 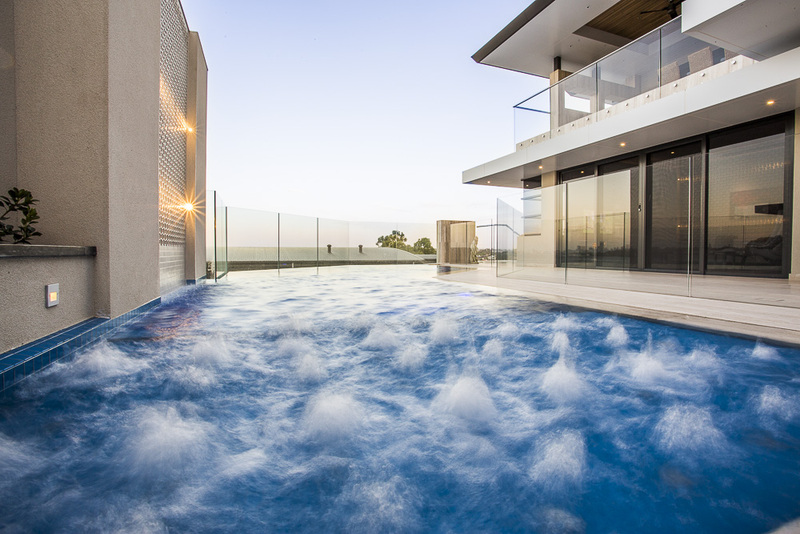 The wet deck has a separate line running to the balance tank in the basement. 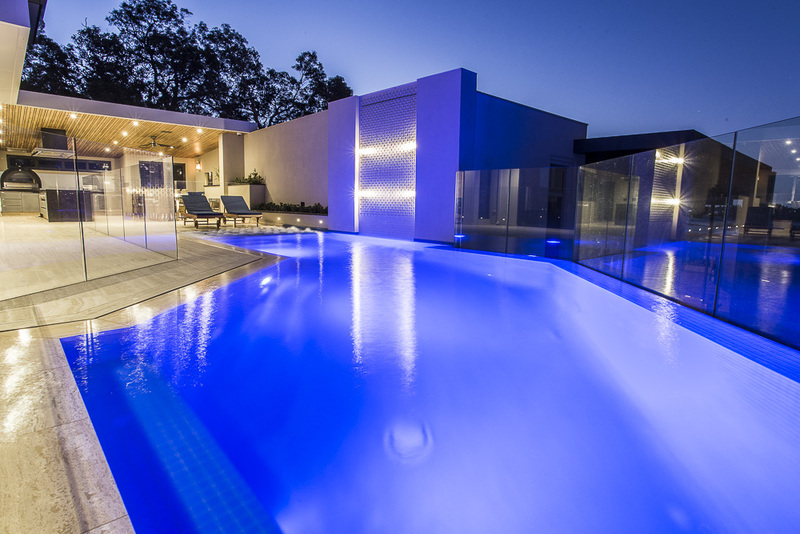 The pool is fully tiled in Jubilee Tiles- Crystal Blue 47 mm tiles. 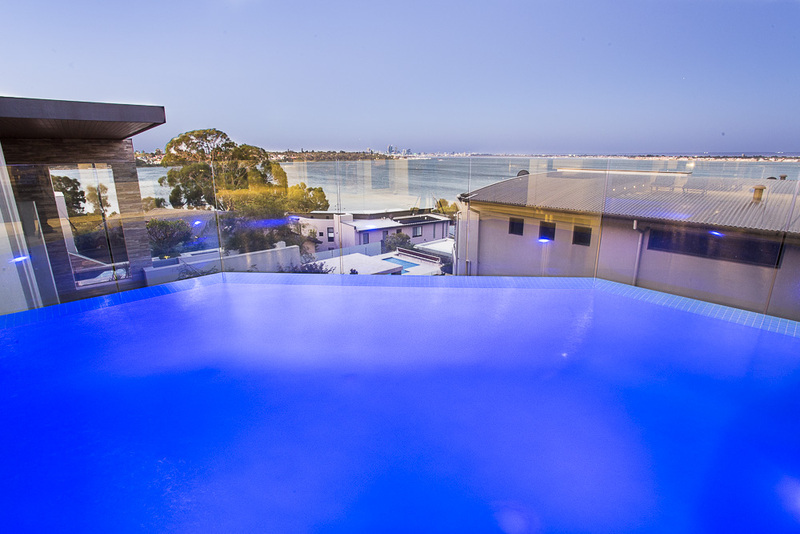 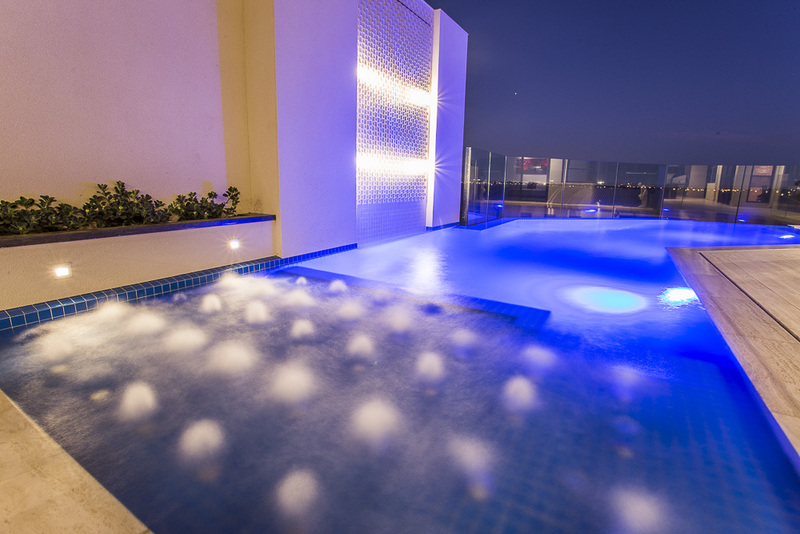 The pool has a PC 2000 in-floor cleaning system and a section of the pool has a 250 mm deep airbed that gives you an ultimate relaxing feeling looking over the river to the city. 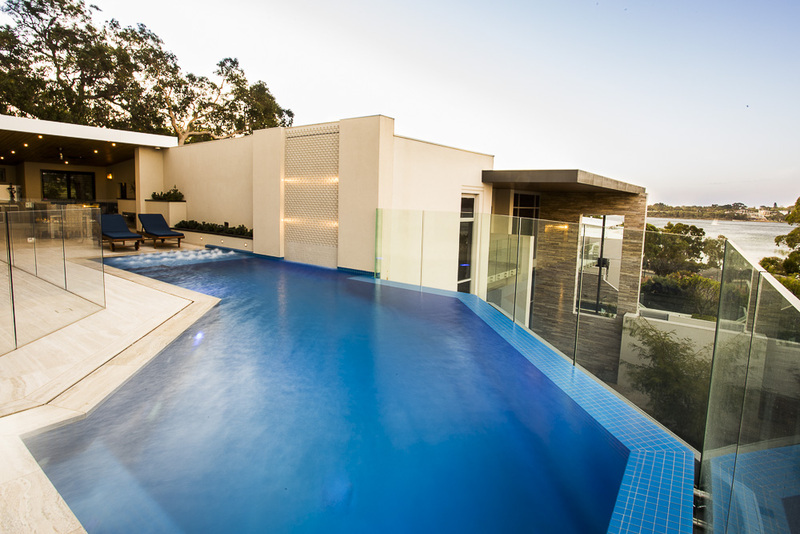 The pool header has been specially made 100 mm thick and 800 mm long with a 15 mm gap to the rest of the paving.